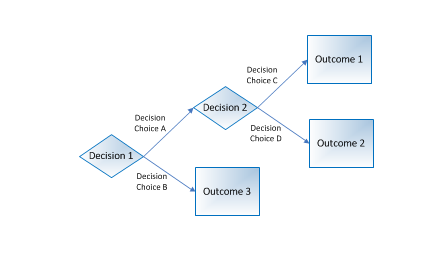 The Decision Tree is an RML systems model that visually shows complex logic, allowing you to analyze a series of decisions. 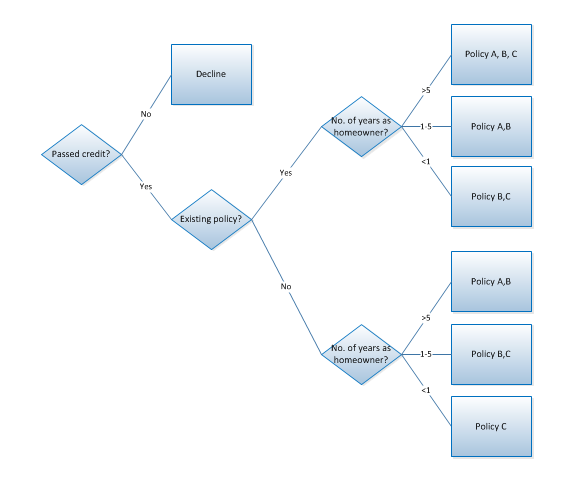 It is significantly easier to validate the logic visually in a Decision Tree than by describing the logic in a list of statements. A template for Decision Trees is given below.